A recent Mobile Retail Report surveyed 185 UK multichannel retailers to uncover the best and worst performers based on smartphone usability and e-commerce mobile features. The results were intriguing and it got us thinking: what are the must-have features necessary for a truly optimal mobile experience? In this post we look at some of the results from the survey, which e-commerce mobile features you definitely should be offering, and what blubolt have been doing to be at the forefront of the m-commerce boom. 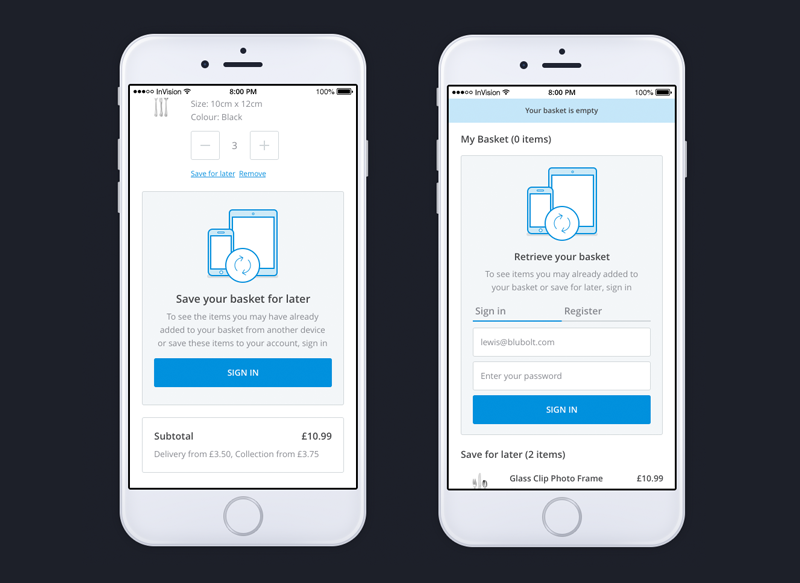 Persistent baskets allow your customers to log in and view their saved basket items across multiple devices. It’s an essential feature for shoppers who tend to begin their research on one device before switching to another. Its main purpose therefore is to reduce shopping cart abandonment by giving users consistent access to their saved items. In this sense, it’s also key in creating an ominchannel experience. According to the survey, the number of retailers who don’t yet offer persistent basket is now at just 16%. We introduced persistent basket to our platform last year to benefit both our retailers and their customers. One-touch payment has revolutionised mobile shopping. It’s a surefire way of increasing conversions at checkout by providing users with a highly convenient payment option. Moreover, now that Amazon’s patent on 1-click payment technology has ended, it’s become a hot topic amongst retailers. Of the 185 surveyed in the Mobile Retail Report, 88% of them offer some form of one-touch payment on their mobile sites, primarily provided by PayPal. With customers searching for faster ways to pay, now is the time to consider this technology. We created our own express payment system on bluCommerce, so that customers shopping with blubolt retailers can enjoy a frictionless checkout experience. Nearly a third of smartphone users complain of the difficulty of typing on a mobile device. We’ve all been there, trying to type in our email address on a tiny keyboard, getting frustrated and giving up. Unfortunately, nearly half (48%) of the retailers in the survey are making it even harder for their customers by not offering input-specific keyboards. Only 52% were offering automatic keyboard changes on mobile, including telephone and email keyboards. This is curious given that this e-commerce mobile feature can hugely improve the mobile shopping experience. On bluCommerce, our checkout has been built from the ground-up and offers all of these automatic shortcuts as standard, reducing the friction (and frustration) of completing the checkout process. Take a look at an example of automatic specific keyboards in action with our client, teapigs. According to the survey, 44% of retailers do not offer geolocation on mobile devices. Geolocation is an important building block in the omnichannel experience. It ensures that mobile users, who are often on the move, can easily locate your physical shop locations, making it particularly pertinent for last-minute and impulse buyers seeking your closest store location. Whether you implement an automatic geolocation function or provide users with a ‘find me’ button, this e-commerce mobile feature will help customers locate your shop quickly. 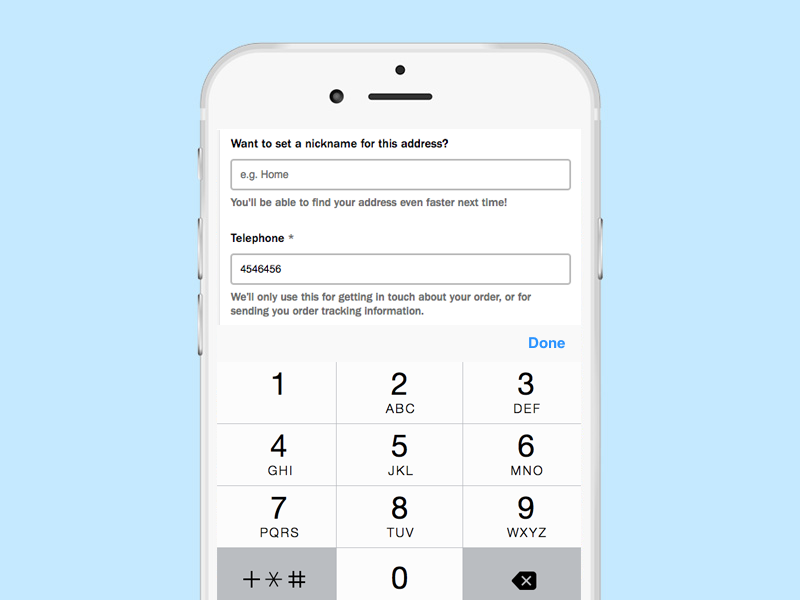 Many of our retailers, however, do utilise this important e-commerce mobile feature (which is also useful for desktop) on our bluCommerce platform. 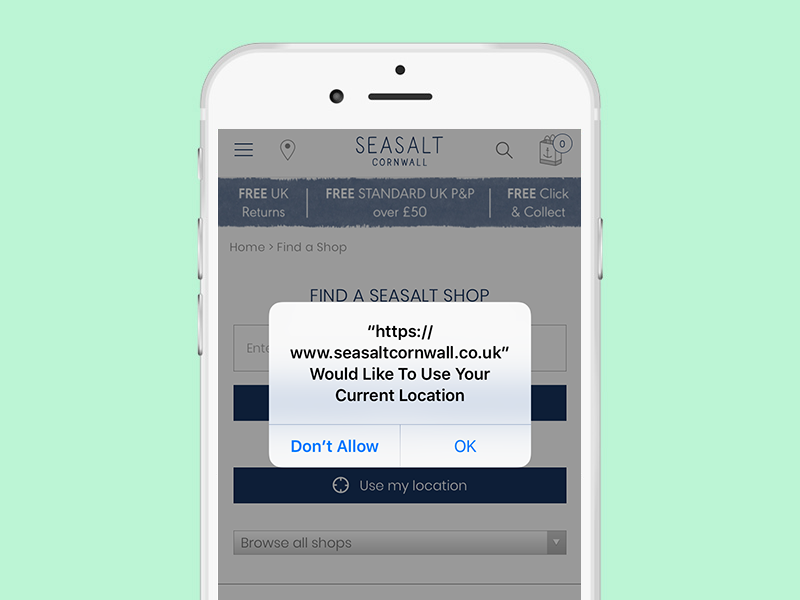 Among them is clothing retailer, Seasalt whose site has a small icon pinned to the top of the mobile screen for shoppers to user their location to find the nearest store. To summarise, having the right e-commerce mobile features ensures that you’re not missing the hoards of shoppers looking to mobile to fulfil their needs. E-commerce business owners require an sollid understanding of the consumer purchase path, which is no longer the linear, largely predictive route that it used to be. These are just four of the e-commerce mobile features that we offer on our bluCommerce platform, among a huge range of others. Contact us to hear about the rest and how they could benefit your brand.